Are you looking at taking on a kitchen remodeling project? Or maybe you need some help fixing a nagging plumbing problem, one you’ve tried to ignore for a while. 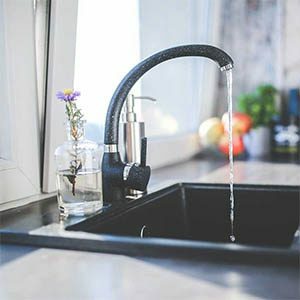 No matter what is going on in your kitchen, we have trained, skilled plumbers in Greenville who will come to you when it’s convenient, figure out what’s going on, and get things running again for you just as soon as possible. At Corley, we know that you need your home to work properly in order to live your best life. We see ourselves as just a few of the people helping you do that. If you have to constantly deal with plumbing problems and worry about whether or not your home is going to function properly, you’re not going to be able to live the life you want to live. We’ll get your house back on track so you don’t have to worry anymore. So many people in Greenville, SC trust us so much that they never call another plumber. Let us show you why your friends and neighbors call Corley first. We pride ourselves on doing the best work with the best attitude, so you’ll never be disappointed. If our plumbers finish a job and you aren’t satisfied, let us know and we’ll come back out. We won’t stop working until you’re happy with your kitchen plumbing.